I don't want to debate the role of fighting in hockey; rather, I'm writing to air a grievance regarding a specific fight that topped off an already-terrible night for Leafs fans: last Thursday's bout between Colton Orr and Jay Rosehill (formerly of Leafs infamy). To recap, Orr fought Rosehill in retaliation for a hit that sent Lupul out of the lineup for the rest of the week (and perhaps much, much longer). "Your extraordinary Behaviour . . . and the Liberty you were pleas'd to take with me, makes me . . . give you this [letter], to tell you, because you are an ill-bred Puppy, I will meet you . . . an Hour hence; and because you want both Breeding and Humanity, I desire you would come with a Pistol in your Hand . . . and endeavour to shoot me through the head to teach you more Manners . . . . Sir, if you will not injure me more, I shall never forgive what you have done already." Like the typical duelist described by Steele, Orr fought in order to make an example of Philly's enforcer so that others would think twice before taking liberties with the Leafs' star players. And given the outcome of the bout, Orr may as well have initiated it by saying, "How 'bout you throw me some faceward punches 'til I drop?" What Steele doesn't mention is the investment of others watching two men duel. Fans shouldn't expect Orr to win every fight, but surely the hockey gods should smile on him when he's trying to pummel someone for a just cause. Instead, Rosehill beats Orr in the fight and then scores the game-winning goal. Maybe Lupul will bounce back from this injury quickly, and there will not have been any need for Rosehill to face a divine reckoning. But if this latest injury ends Lupul's season (or even jeopardizes his career), it will be the most inglorious blow to athleticism in terms of skill and aesthetics since a snarling, hairy boar killed Adonis. 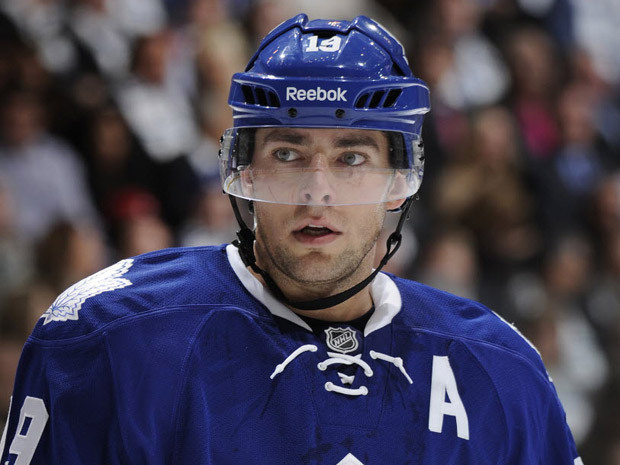 Lupul's beauty isn't a matter of taste but vision: if you disagree, you are obviously blind. Maybe I expect too much from the universe, but civilizations have literarily been destroyed for lesser offences than the heinous misfortune that has befallen the Leafs. Was it too much to ask for a bottomless pit to appear momentarily in the Wells Fargo Center so that Orr could kick Rosehill down the chasm like Leonidas did to the Persian messenger in 300?